Common date Morgan Dollars are surprisingly affordable in Mint State condition and offer investors and collectors solid value at current price levels. 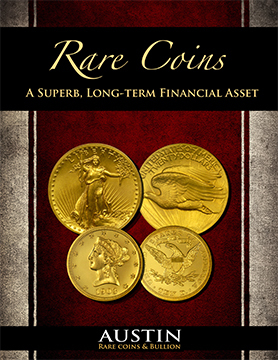 Struck from 1878 - 1921, these classic dollars offer a great way to leverage a rising silver price in coming years. 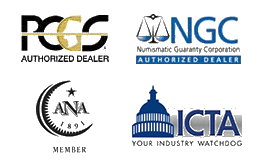 Typically, investment grades range from Mint State 64 up through Mint State 66 and all coins are certified by either PCGS or NGC.